This DVD is the perfect way to set the mood for your next Halloween event! 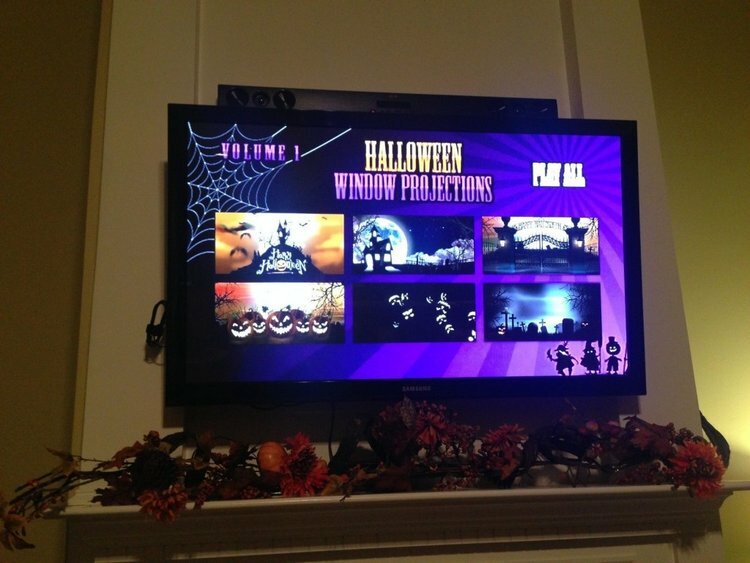 The DVD contains 6 different Halloween scenes which can be displayed on a TV, Computer Monitor (or to take it to the next level) projected from an LCD projector onto your house, outdoor screen or indoor rear projection screen in a window! Each scene can be individually looped or played within the normal playlist (play all). Each scene also contains subtle sound effects designed to compliment the scene and mood of the setting. Simply insert the DVD into your DVD player, select your scene and place your screen or monitor where it can be seen by your audience. All the animations on this DVD are suitable for all ages!